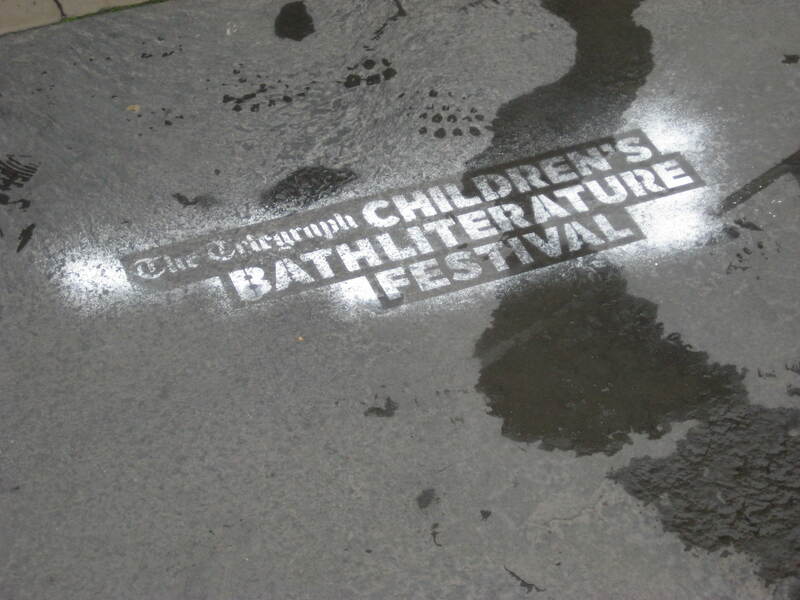 Interesting to note that while the Daily Telegraph continues to sponsor its very worthy annual Bath Festival of Children’s Literature – it’s efforts to encourage reading amongst young people in Bath and North East Somerset has extended to what some would call vandalism. 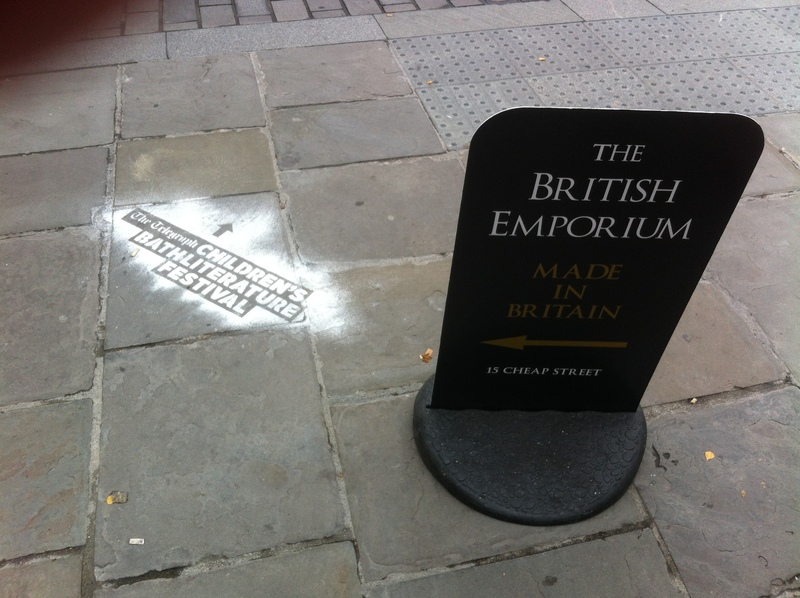 Scattered around the core of our inner World-Heritage city are street stencils promoting the event. 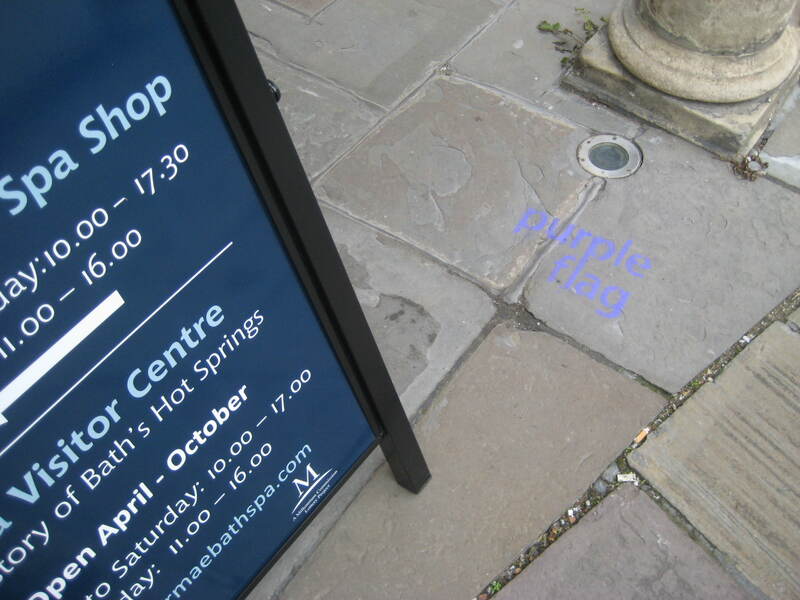 You’ll find little pavement reminders outside the Guildhall, the Pump Room and the Abbey. Sorry if l have missed any – l didn’t have time to hunt for more – but isn’t this what they call graffiti? (‘Writings or drawings on a surface in a public space’…according to the Pocket Oxford English Dictionary). Are we a little guilty here of sending mixed messages to our young and literate citizens. Another outside the Tourist Office! 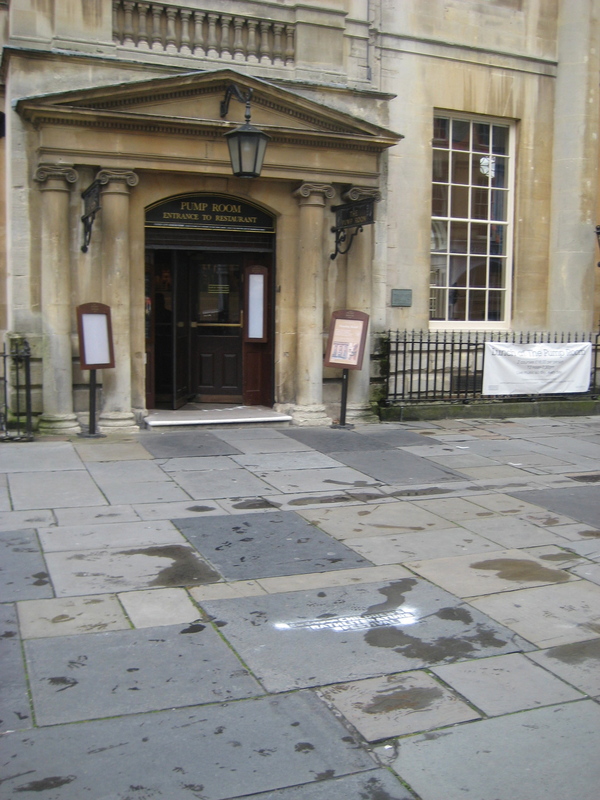 It’s ok for adults to deface the pavements around sensitive historic areas – but don’t you do it! I mean B&NES already employs a Graffiti Unit to deal with such illegal daubing. Today, with all the rain, l went back to see if the ‘chalk’ had washed it all away. It is NOT chalk! 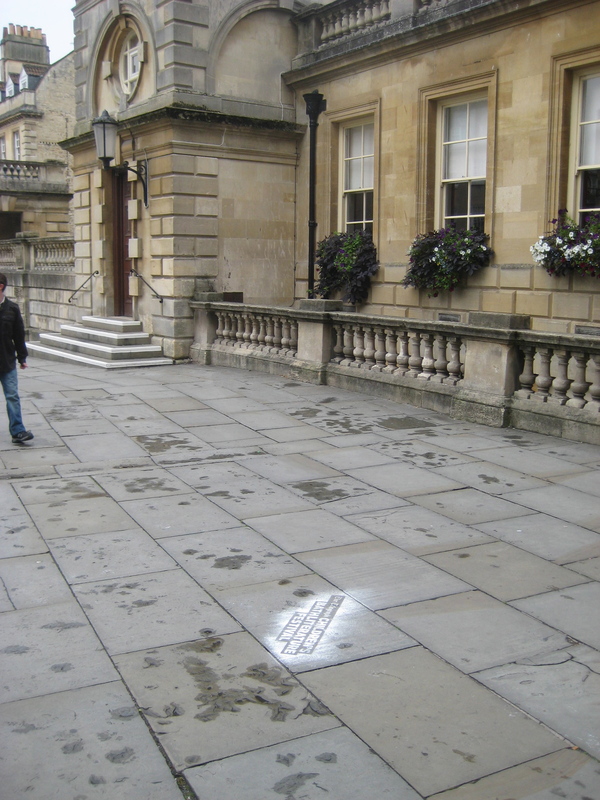 You cannot rub it out with your feet – even on a wet paving slab. This is defacement on a grand scale. Maybe, while we are on the subject, they might like to clear up some even more distinct promotional ‘graffiti’ l also discovered lurking in ‘colourful’ patches elsewhere . 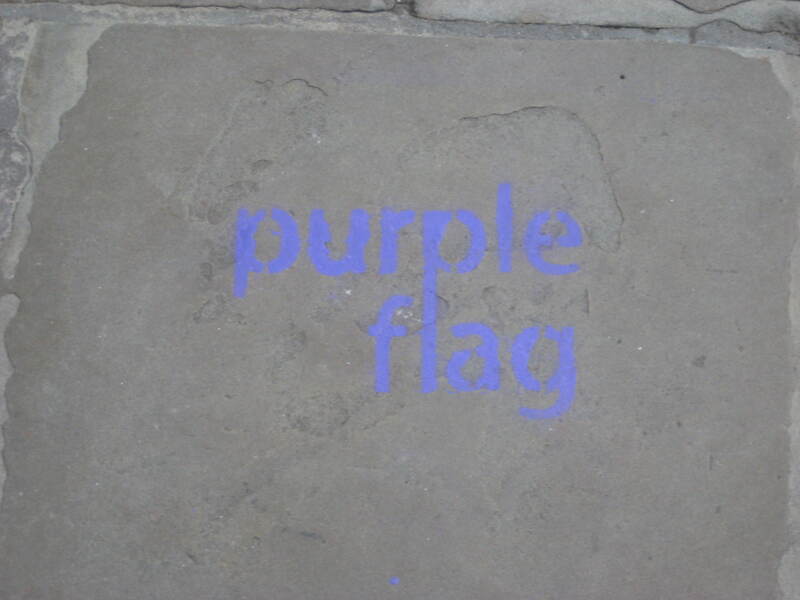 The ‘Purple Flag’ logos left over from the launch of the campaign – organised by Bath Business Improvement District – to highlight the ‘vibrancy’ of the city’s night-time economy and how well-managed it is. 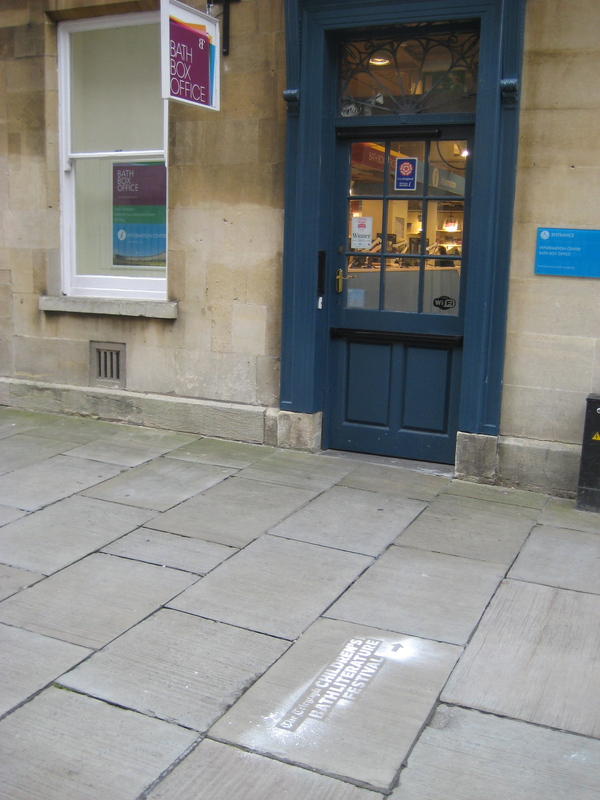 This time outside the historic Cross Bath. I feel sorry for the seagulls who usually get all the blame for blotting our landscape. There is too much street ‘furniture’ as it is without adding to the messy obstacle course of roads and pavements and courtyards – listed or not.